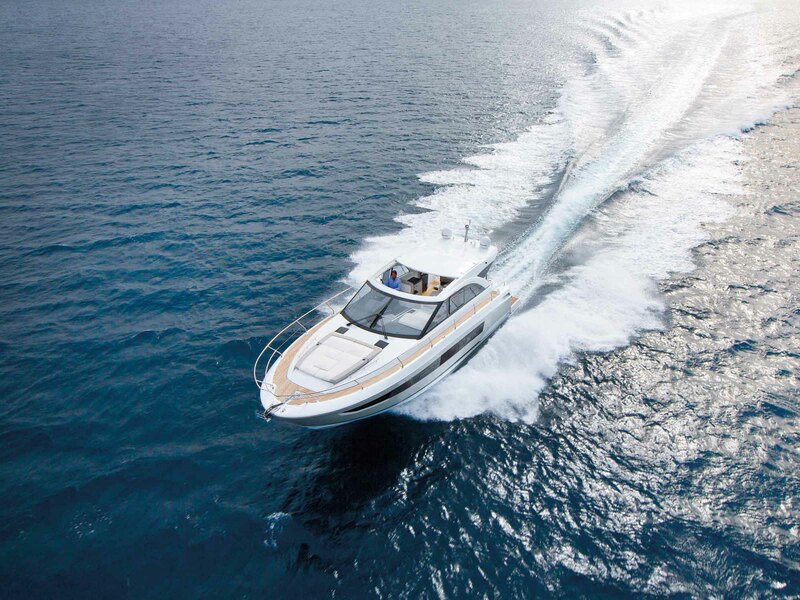 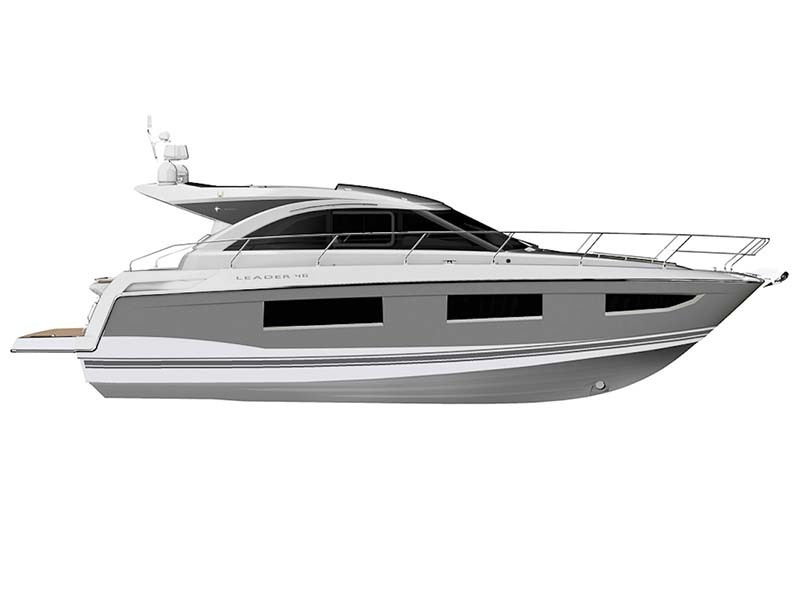 This flagship model, with her sinuous profile, goes even further by offering a sporty look, luxurious spaces and unparalleled finish. 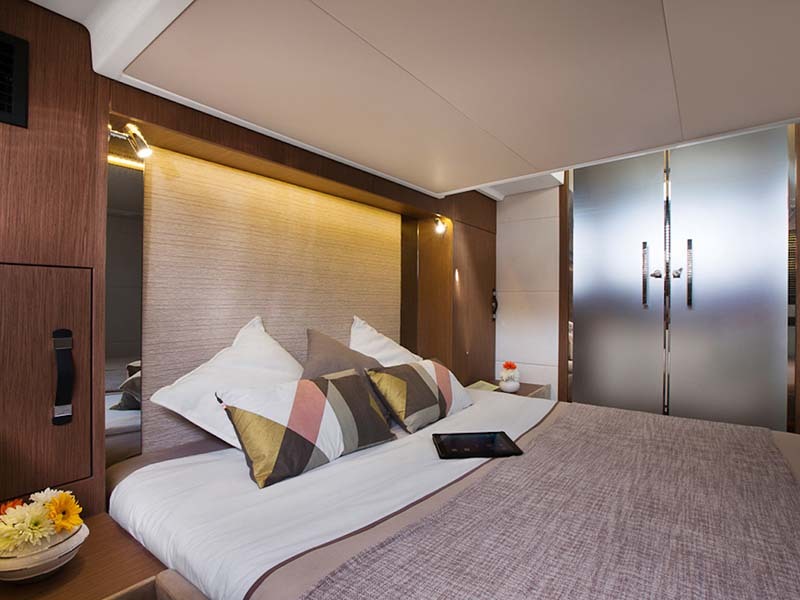 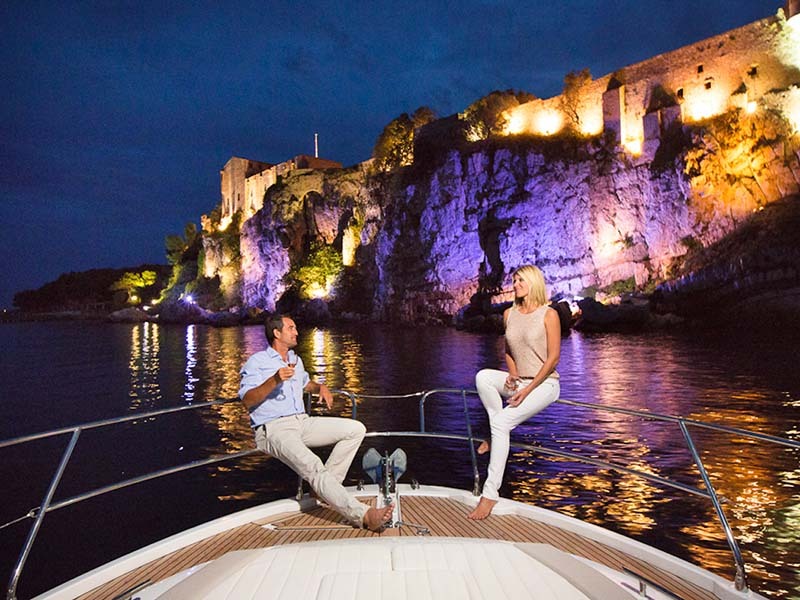 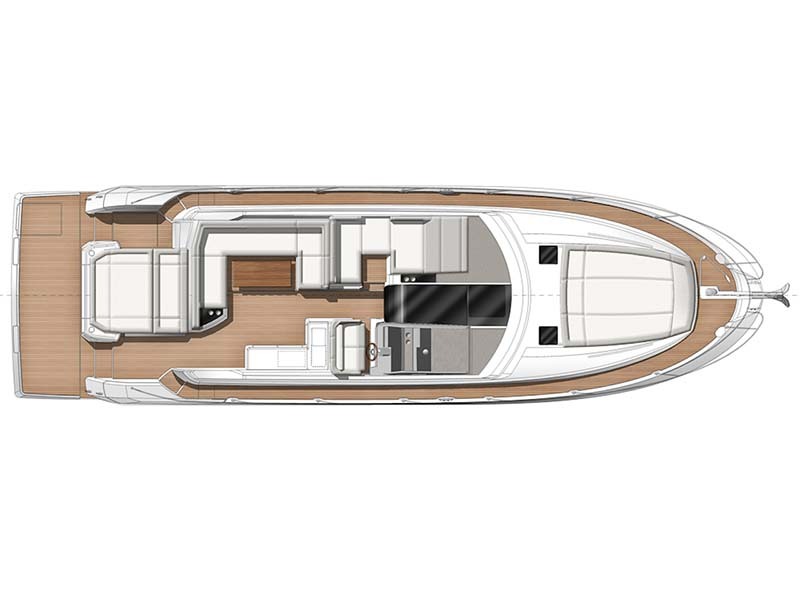 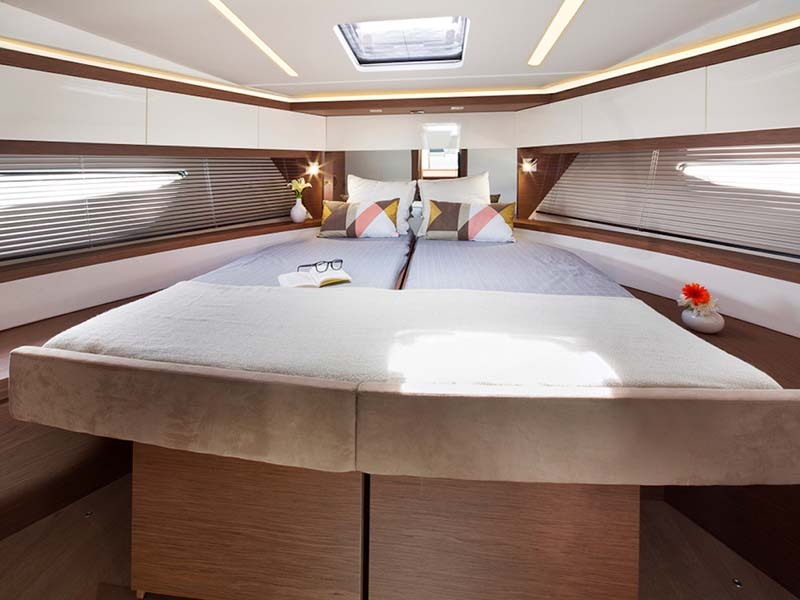 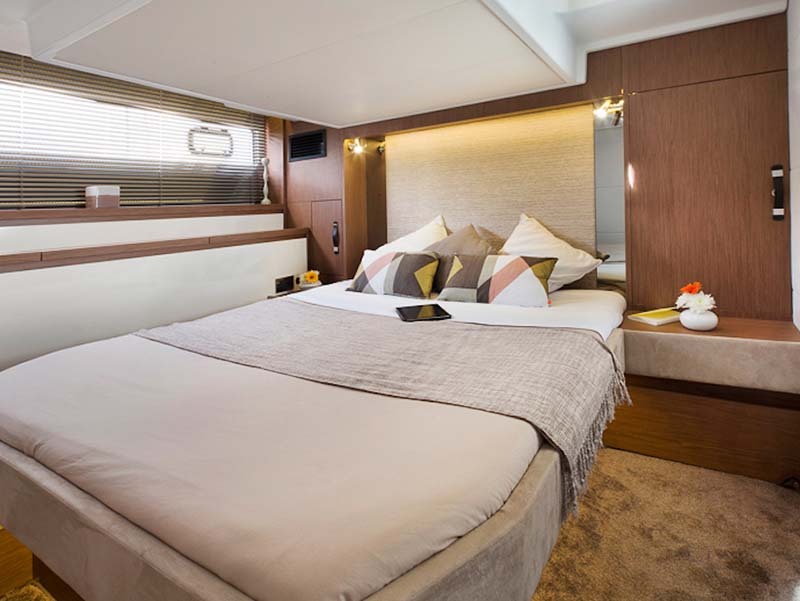 The interior design of the LEADER 46 will seduce you with her contemporary spirit that has been carefully studied down to the smallest details. 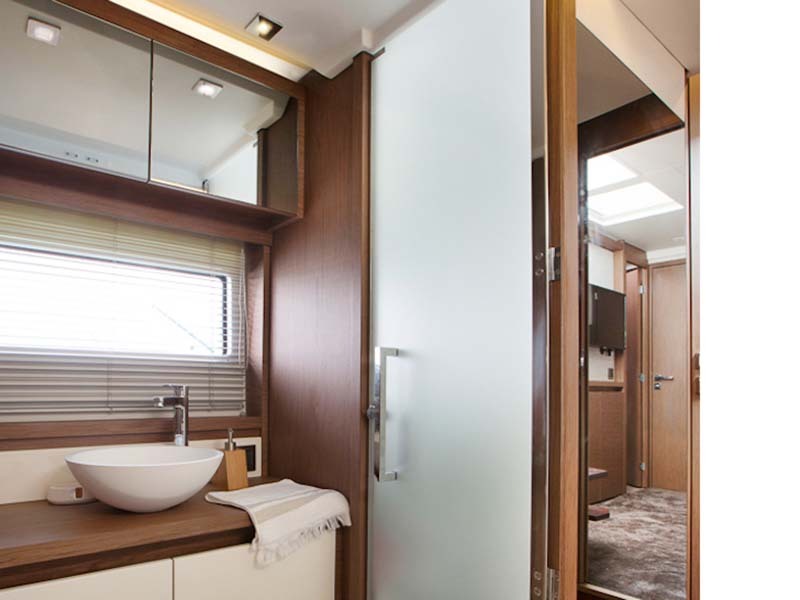 A true owner’s suite is a pleasant surprise, with her superb central cabin and a king-size, modular head and shower compartment. 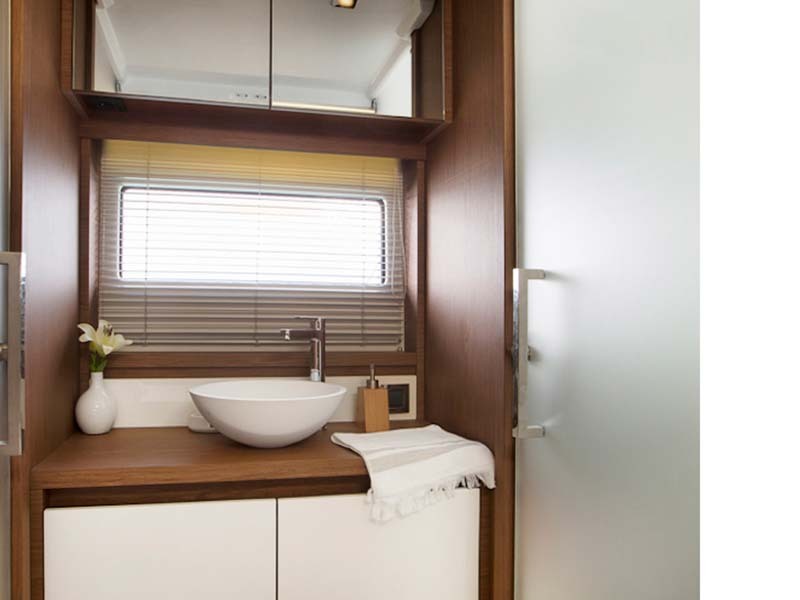 The guest cabin and private head and shower compartment offer the same luxurious details and overall comfort (berths may be separated, copious storage). 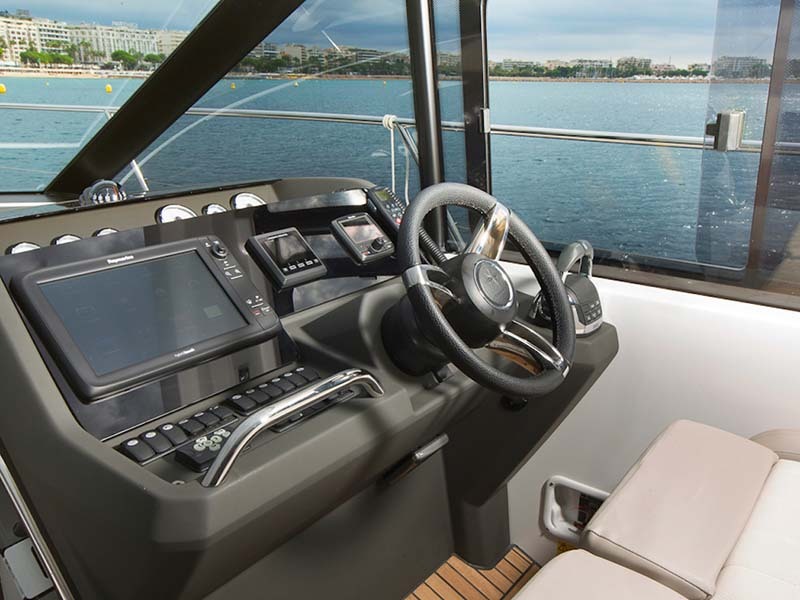 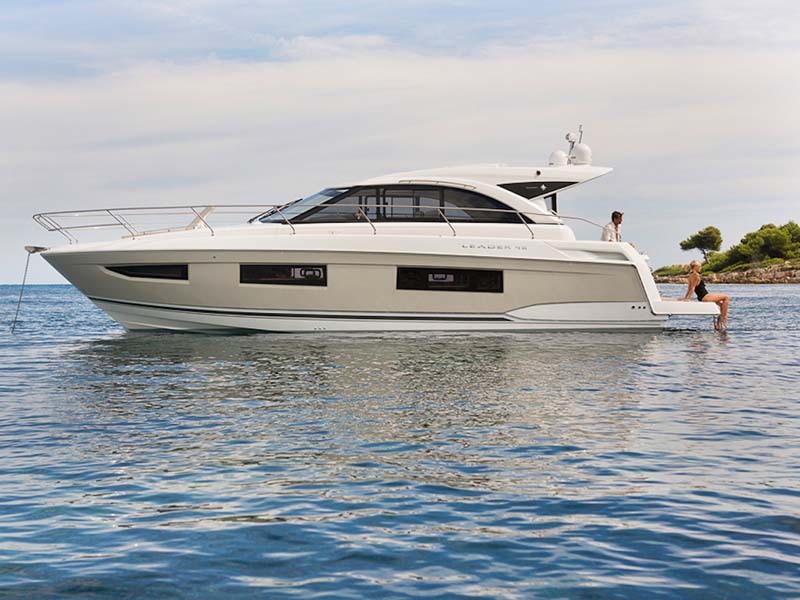 Electronics This LEADER 46 comes equipped with the 2016 Raymarine electronic pack: High definition radar with a deck searchlight, autopilot, VHF radio, and cartography. 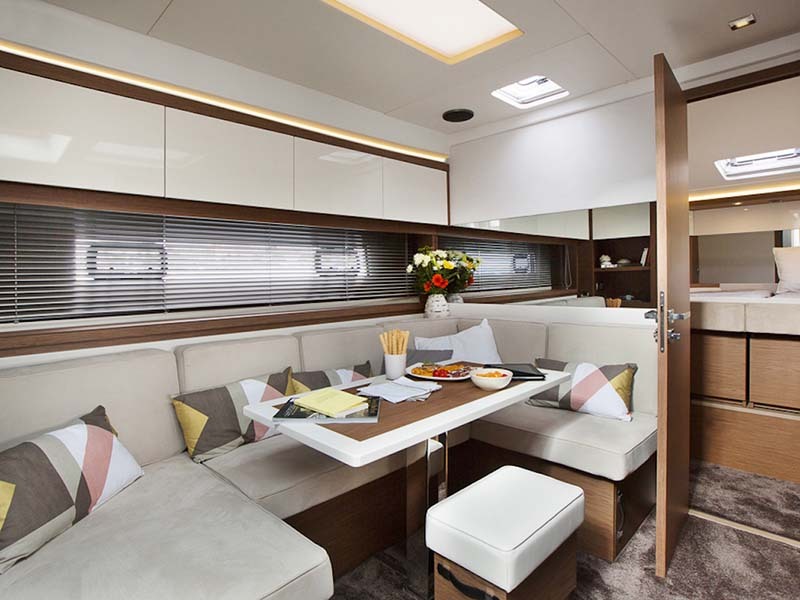 Inside Equipment & Extras Every element of the interior layout reflects luxurious and well thought-out living. 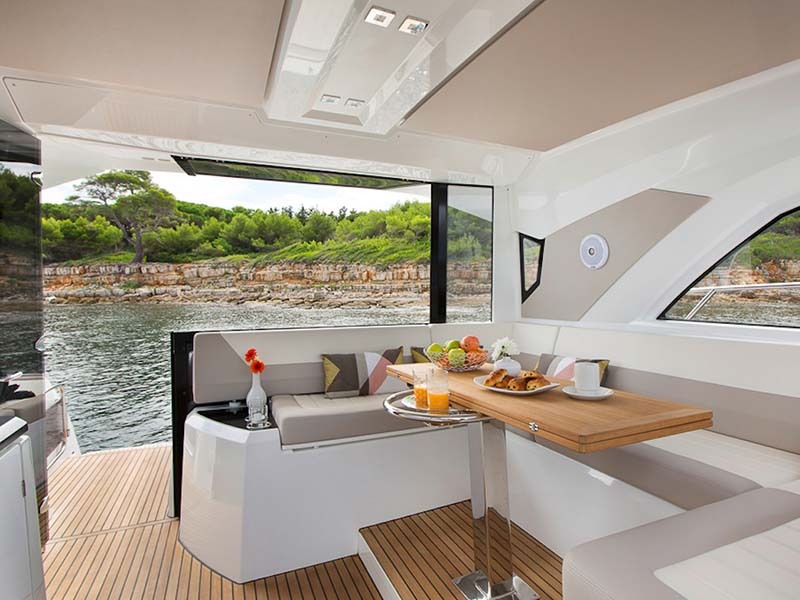 Teak tables with folding legs and cushions, an ice maker, and ceramic glass cook-top are available for comfortable dining. 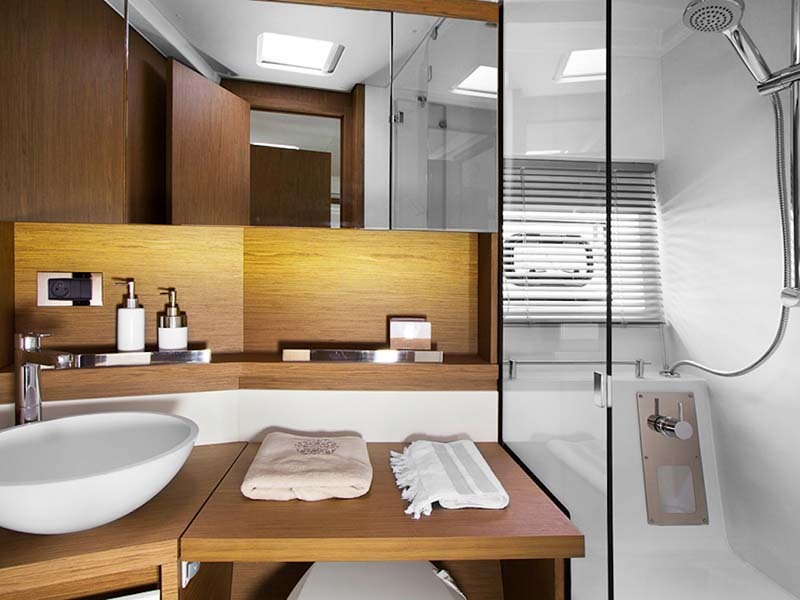 Enjoy a separated shower with hot and cold water, air conditioning, and a washer an dryer. 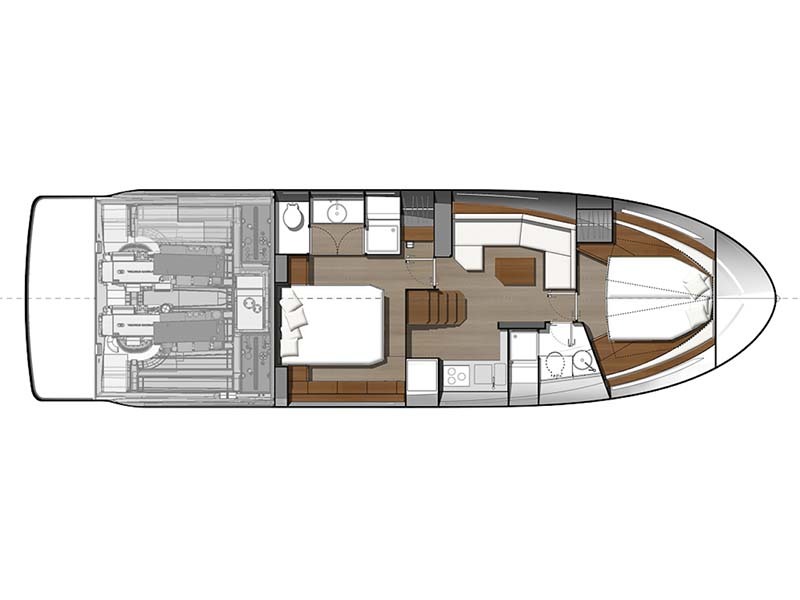 Comes with wiring for a TV antenna, microwave, and TV & DVD in the FWD and AFT cabin. 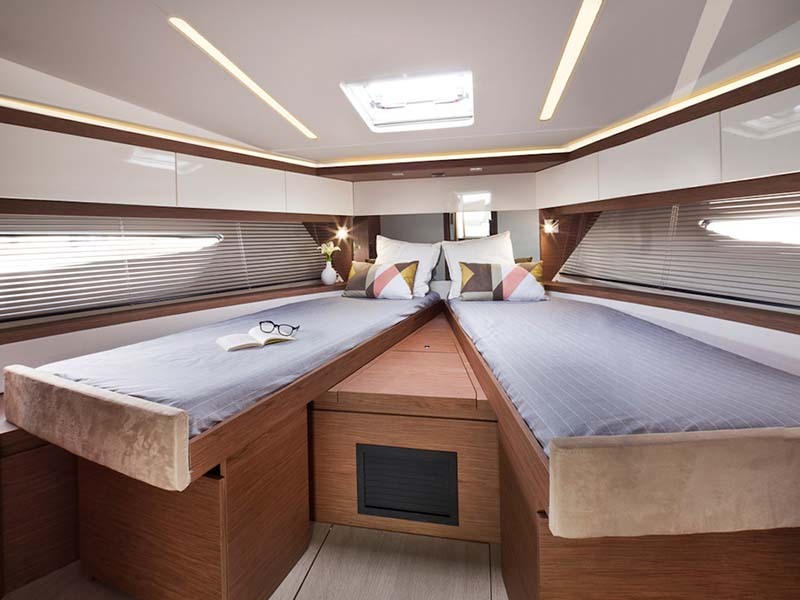 Outside Features Enjoy this spacious sport top, laid out entirely on one level, with a modular bench seat at the helm that converts into a sheltered sun deck, and a very attractive cockpit galley. 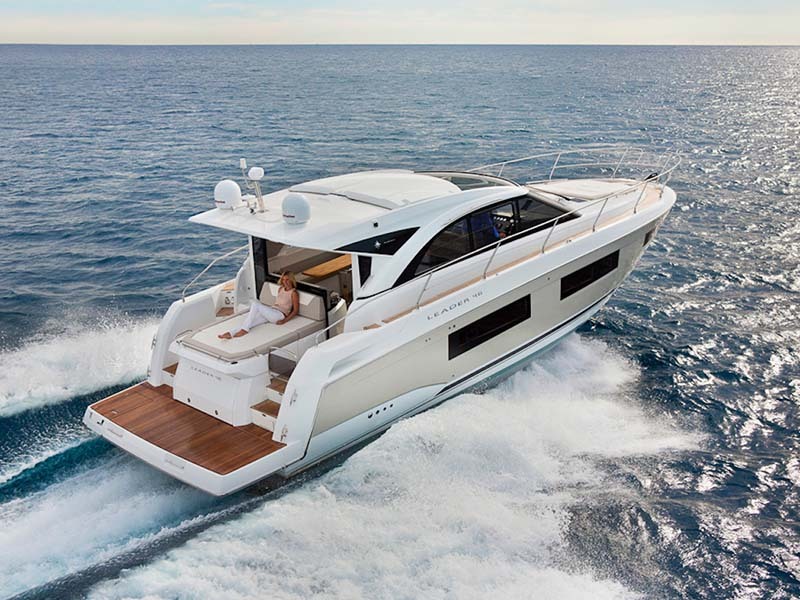 Experience the ease of a hydraulic swim platform. 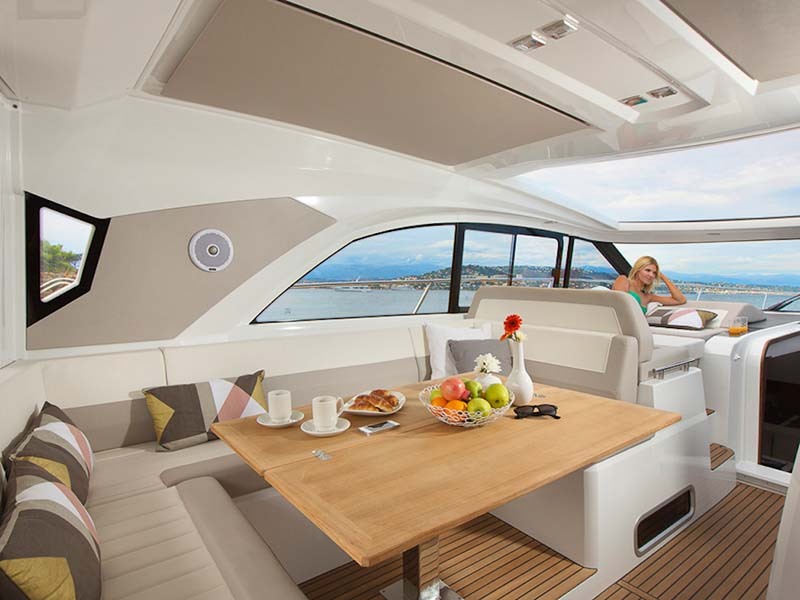 The front sun deck features a lifting backrest. 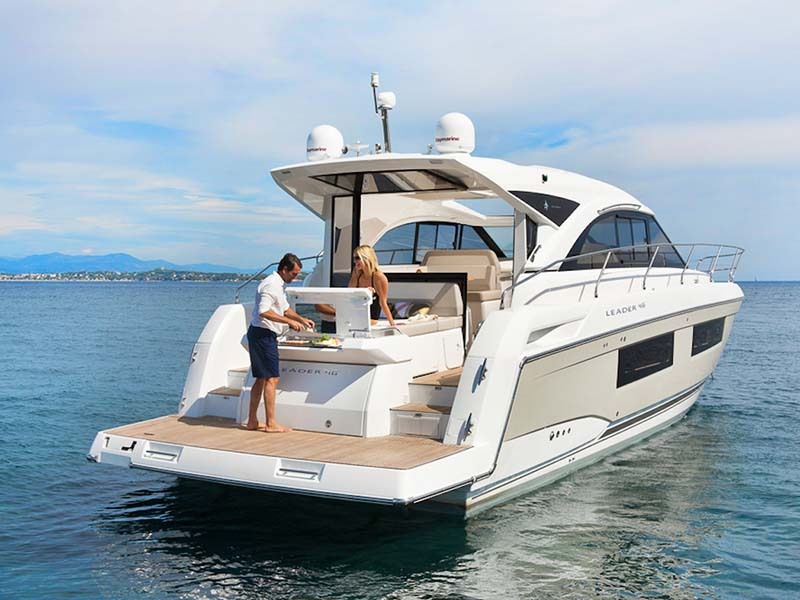 Swim platform galley with grill - very neat option!